As part of Phoenix Lights month on Found Footage Critic and Found Footage Files podcast we review The Phoenix Tapes ’97 (2016) a found footage film and mockumentary about the Phoenix Lights, one of the most famous mass U.F.O. sightings in US history. 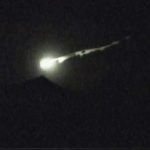 The Phoenix Tapes ’97 is one of three found footage films about the Phoenix Lights incident released in a three year window. This episode we interview Justin Barber director of the new found footage film Phoenix Forgotten (2017) a Ridley Scott-produced found footage film and mockumentary about the Phoenix Lights, one of the most famous mass U.F.O. sightings in US history. We discuss the Phoenix Lights, Ridley Scott, exclusive behind the scenes details about Phoenix Forgotten, conspiracy theories, what makes for a good found footage film, and found footage cinematography. 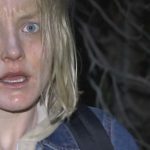 Phoenix Forgotten (2017) will hit theaters nationwide on April 21, 2017.